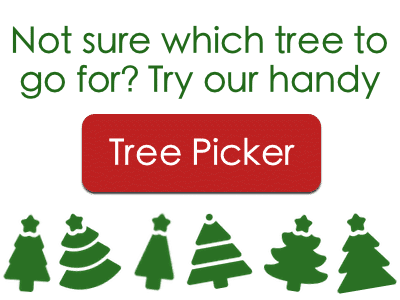 Facebook Competition 2017 – WIN a tree! The John Lewis ad is out and mince pies have been on the shelves for a good couple of weeks already. At least, they have at my local Aldi. Though I can’t say for sure that they haven’t been there since last year. Anyway… all this is to say that Farmer Tom is feeling festive, and we’ve taken advantage of his high spirits to convince him to give away one of his beloved Christmas trees to one of you lucky likers. All you have to do is like one of our competition posts on Facebook before midday on Saturday 25th November 2017. The winner will get to choose from any of our trees up to a height of 7ft, and we’ll also throw in a handy plastic tree stand too. We (or more accurately, an independent adjudicator ….probably someone down the pub) will pick a winner at random on the 25th, and get in touch with them via Facebook (so make sure to like our page too) to get their details and find which tree they want to go for. The winner must reply within 48 hours, else their victory shall be void and another lucky so-and-so will be chosen. 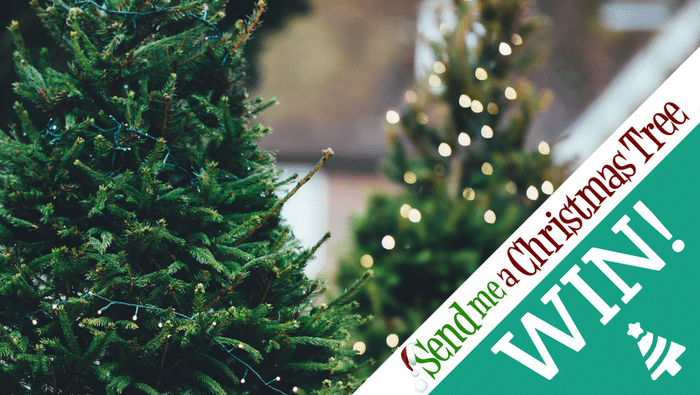 If you’ve entered, but are thinking of ordering a tree anyway and don’t want to wait – go for it! If you win, we’ll simply refund you the price of the tree. We can deliver your tree, for free, to anywhere on the UK mainland. We can’t offer a cash alternative, you miserable humbug, it’s a tree or nothing. Employees, family and friends of Send Me a Christmas Tree staff (that includes you, Phil) are not eligible to enter. Or, more accurately, they can enter but sure as pudding won’t be eligible to win. The competition is in no way endorsed or sponsored by Facebook. Obvs. Cheers then, and good luck!